Google Hangout Offers FREE International Calling: But, There’s a Catch! We all love freebies, don’t we? Most of us would admit rushing to the “Offers” and “Discounts” sections of the departmental store before picking up two A++ sized batteries for the TV remote we went looking for in the first place! The reason being we love anything and everything that comes for FREE! Google just introduced FREE one minute international voice calling on Google hangouts for users across 25 countries (including India), using its Hangouts app. People who still haven’t read the fine print are ecstatic. But there is a lot more you need to know beyond the FREE calling facility. The new feature will make ONLY the first minute of the call free now. The earlier system required the users to pay according to the prevailing ISD rate, even if they were using Google Hangouts. This first one minute is free for both voice and video calls, and users can choose to make these calls from their computers, laptops or mobile devices. Further, all Hangouts clients, including Android, web and iOS will support this feature. Google says “The first 60 seconds are on us – what you say is up to you. 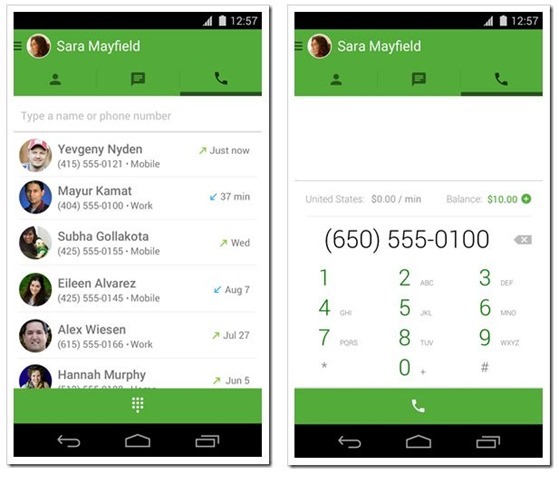 The first minute of a call to phone numbers in twenty-five different countries is now free with Hangouts”. But users will have to be more careful than Cinderella waiting for the clock to strike midnight at the king’s ball, or else her chariot turns into a pumpkin once again! As soon as the one minute gets over, the user’s credit card will be charged for the ISD call. Even if you plan to hang up within a minute, you must link your credit card to your Google account and add credit to it before making this call, even if you are pretty sure the call will not last more than 30 seconds. Users in India are looking at a 1 cent or 60 paise per minute pulse rate. Google has rightly pointed out that alternatives charge upto 180 paise per minute for the same service. Even Skype, one of the most popular VOIP clients, charges 1.7 cents per minute. Now the catch is: what can you do over a one minute call? If you need to be really brief or just drop in a quick, urgent message, 60 seconds might seem enough. But a free one minute will not help you much if you intend to catch up with family or friends staying across the borders. While that might crack you up, most people aren’t amused. Most of us aren’t that brief when we call up. Then again, not many would be comfortable linking their credit card to the Google account and buying Google credit if they are indeed sure that the call will not last more than a minute. Free ATM Usage Cut To 5 For Own, 3 For Other Banks From Today. Rs 20 Per Transaction After That!